Join the Questica staff and some of its partners for two days of great networking opportunities and education sessions at our joint Questica Connect event and our Questica Regional User Group (QRUG) meetings for K-12, local government & healthcare. The first day of sessions on June 12, 2019 is open to all public sector organization customers and guests including government, education and healthcare, and will feature discussions about budgeting best practices and tools, along with sessions about getting the most out of Questica’s Budget, OpenBook and Budget Book solutions. Connect with our team and your peers, and mingle at our optional networking reception at Posta Italbar Cucina at the end of the day. On June 13, 2019, also hosted at the Waterside Inn, our QRUGs meetings are for our K-12, healthcare and local government customers and complimentary for attendees. Registration is required to attend. CONNECT: Network with experts and peers to generate new ideas for your department and organization. LEARN: Innovate your approach to budgeting, performance and transparency to drive broader benefits across your organization. COLLABORATE: Hear about the successes and challenges of your peers. Plus discuss and exchange best practices and new learnings. It’s an opportunity for you and your organization to find out how Questica can help transform your budgeting process to: ensure greater accuracy and efficiency, achieve greater usage and collaboration, and deliver better results through strategic reporting and performance management. Our goal is to help Questica users to get the most out of our budget, performance, transparency and engagement solutions. *Morning and lunch portion complimentary for registered attendees. Learn more about our powerful new solution-wide Advanced Calculation Engine to Questica Budget Suite to enable public sector organizations to create complex models for revenue, projections and activity-based costing. We’ll be showing a number of examples along with Q&A. A look at what’s new, what’s next, Project Explorer for Capital Projects, and open Q&A. *K-12, Government and Healthcare QRUGs Sessions Run Concurrently. Note: will run based on the number of registered attendees. *Plus applicable taxes. CAD Dollars. 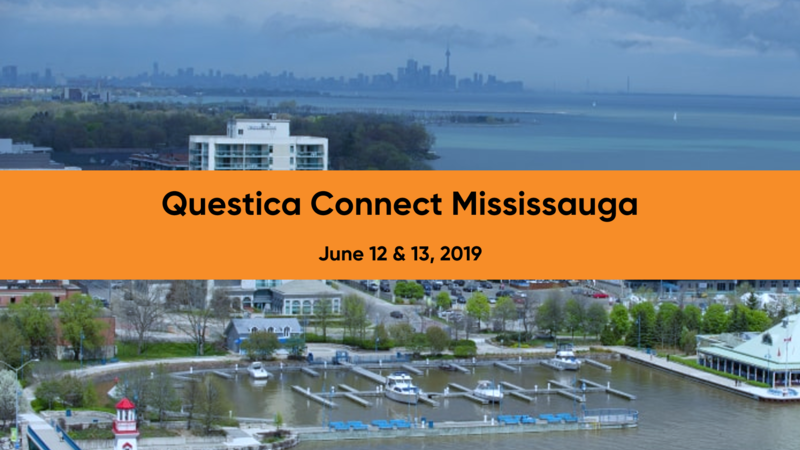 Register for the Questica Connect - Mississauga event today! Questica has reserved a limited number of rooms at the Waterside Inn for our attendees. Please call (877) 264-7770 and mention that you are attending the Questica Connect event to book your overnight accommodation for our event. If you have questions about the event, please contact Questica’s Marketing Team. Looking for another Questica Connect event?